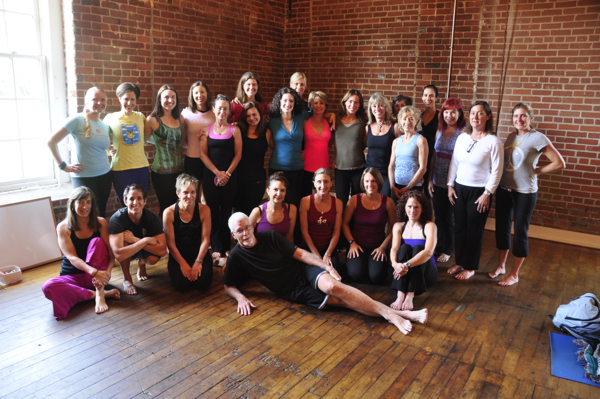 This course fulfills an elective requirement for the Carolina Yoga 500-Hour Teacher Training. It’s also open to everyone. Please note: we are moving the Carrboro studio this summer, and depending on the exact date the new place is ready, we may be in Carrboro, or this training will be held at our Hillsborough location—yes, in the same building as Hillsborough Spa and Day Retreat! If we wind up in Hillsborough, we’ll help you with a carpool if you’re flying in from out of town and want to stay car-free. Carrboro housing options include a Hampton Inn and great AirBnB options in easy walking distance of the sweet downtown and new studio (no car needed!). Read more at the studio’s travel accommodations page. In addition to learning a ton, expect to enjoy your stay in our beautiful town. Monday, July 15–Friday, July 19, 10:00 a.m.–1:00 p.m. and 2:00–5:00 p.m.